We've been experiencing a lot of rain here in Northern California as well. I do too love it for one reason. I don't have to worry too much about watering my garden in summer (I hope). 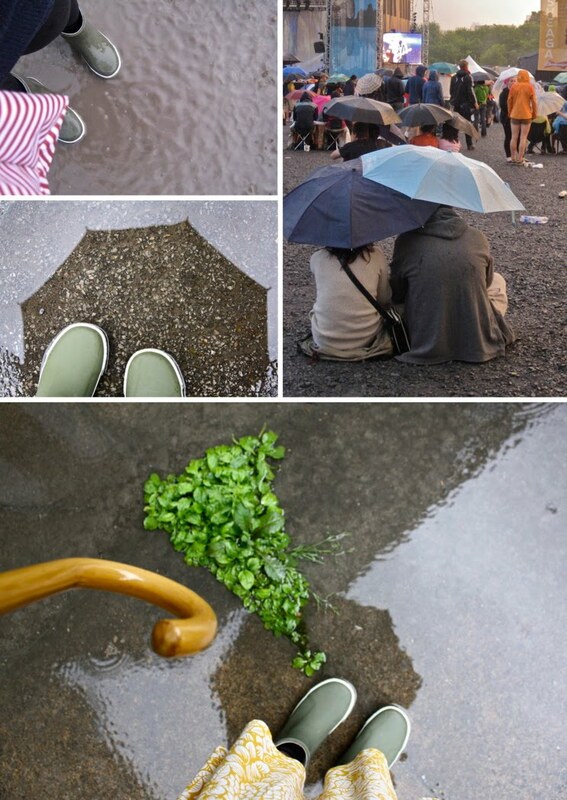 From your photo, it seems like people really enjoy April shower. I don't think is the same in my area. It's chilly, windy and unpleasant to go out. So enjoy yours! But the I think the pay off in flowers & greenery is well worth it! !